Welcoming open floor plan! 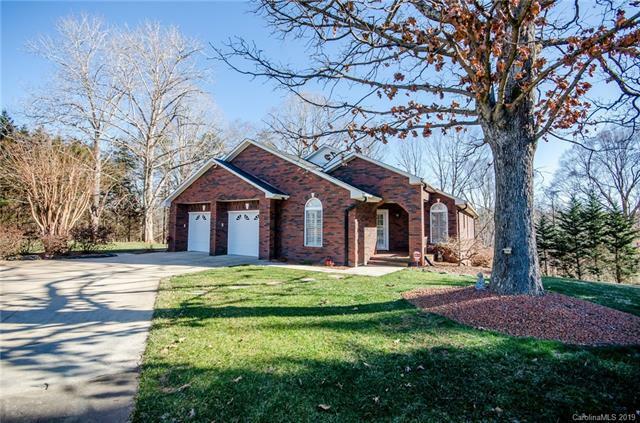 Immaculate, Full Brick Ranch, large island kitchen, custom maple cabinets,granite counter tops, all kitchen appliances remain! Two fireplaces,random width hardwoods, red & white oak(very unique) and ceramic tile floors on main (no carpet! ), neutral colors, office, basement workshop, walk-out partially finished bsmt w/full bath(being used as guest room).Sun room adjoins great room and could serve as dining, billiards or other buyer desired area! Whole house sound. Large covered 25 x 18 patio for outdoor enjoyment w/stairs that lead to back yard and lower level golf cart/lawn equip garage. Built-ins for entertainment area, unique and functional design! Over-sized garage! Outbuilding on property remains! Well and County Water connected to home. Two parcels combined make over 5 acres! Back parcel joins Appaloosa Lane. Additional parcels available at additional cost. Home built by current owner.Rear one acre parcel part of Saddlewood. Some deed restrictions.